In 2017, a record 38 percent of new seats at Fortune 500 companies’ boards went to women, according to executive search firm Heidrick & Struggles. Still, the firm reports that the overall number of women on boards, 22 percent, increased only 1 percent from the previous year. The numbers are worse in biotech. In 2017, only 11 percent of board seats of the 177 publicly traded companies surveyed were held by women, according to a study by Liftstream. As the head of Boardroom Ready, Brougham’s job is to give companies one less excuse for not hiring women on their boards. “Leaders of companies kept saying, ‘Well, we do want gender parity on our board, but we just can’t find qualified women.’ The problem is they were going to women who were already on four or five boards. 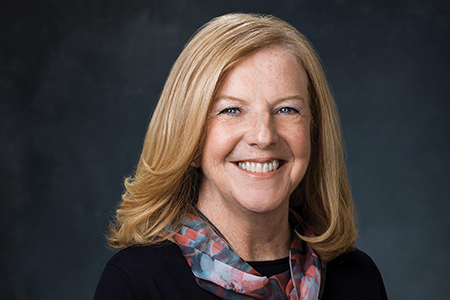 This program is a way to identify new talent and overcome the barrier of having previous board experience.” Brougham, who is also an attorney at Northwestern University, once worked at a large law firm at which some of her clients were executives in biotech. “One of the things they kept telling me was that they were having a hard time getting invited to join boards. They just weren’t having the same success as their male counterparts at other organizations.” Brougham began researching the problem and possible solutions. That’s when she learned about an internal program at Biogen called “Raising The Bar,” which had been created for top female executives. The goal was to help these women network and, when a seat became available, program staff would help place these women on Biogen or other corporate boards. The program ran successfully for several years. "Every year, we ﬁnd the top 20 women who are not only ready for board service, but have in-demand skills that boards are readily looking for." Biogen was seeking ways to externalize the program to have more impact on diversifying the biotech industry when Brougham and Women In Bio stepped in, launching the program in partnership with Biogen and LifeSci Advisers in 2016. “The premise is that the women who make it into the program are already ready to be corporate directors. It’s not a training program.” Instead, the program allows women to network and acts as a clearinghouse for talent. A selection committee made up of seven men and women reviews the approximately 75 applications received annually. “Every year, we find the top 20 women who are not only ready for board service, but have in-demand skills that boards are readily looking for,” Brougham explains. To fill in any knowledge gaps, participants attend a five-day course (split into two sessions) at George Washington University, covering everything from cybersecurity and crisis management to financial planning through an IPO and working with bankers to raise money. The women in the program are also paired with director mentors and get invited to exclusive networking events, like the Executive Women In Bio annual retreat. However, it’s the networks these women form among themselves that are equally — if not more — valuable. “It has given them the opportunity to network with women who are similarly situated in the industry,” Brougham says. "The course increased my confidence that I could effectively sit at that table, even as a new board member." 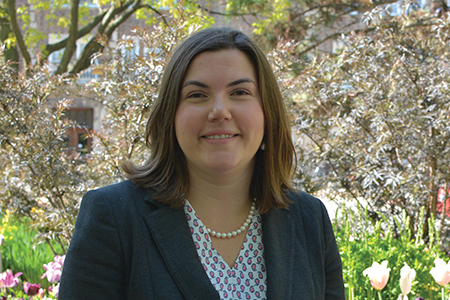 Mary Thistle was part of the inaugural class of program participants in 2016. At the time, Thistle had heard of the success of Biogen’s program, was eager to enrich her network, and was looking to join a board. “I thought it was a smart way to address the problem at hand,” says Thistle, chief of staff at the Bill & Melinda Gates Medical Research Institute. As she sees it, the perpetuation of gender imbalance on corporate boards is due to a lack of diversity among the leadership itself. If the leadership is not diverse, likely their networks are not diverse. And it’s these networks that people — mostly men — tap into when a board seat becomes available. “This program is a catalyst to create a rich network of women who then could be made available to the industry.” Thistle now serves on one public and two private corporate boards. She says the Boardroom Ready course addressed most of the issues with which the boards she now sits on have had to contend. “The course increased my confidence that I could effectively sit at that table, even as a new board member.” Thistle also says the mentorship aspect of the program is key. “A new potential board member needs a strong advocate to help navigate their way to the boardroom, and these coaches often provide that advocacy.” It’s not enough, she says, to just get a recommendation. The program enables mentors and mentees to establish a close relationship in which true advocacy is possible, she explains. Today, Thistle recommends the program to both potential participants and corporate leaders who come asking her to add a fourth board to her list.